Toyota Verso 1.6 D-4D 50th Anniversary+ 5pl. Toyota Verso 1.6 D-4D 50th Anniversary+ 7pl. 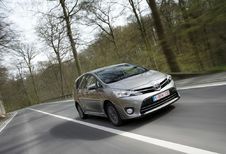 Toyota Verso 1.6 D-4D Business 5pl. 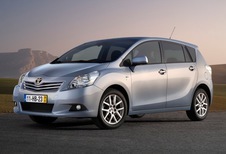 Toyota Verso 1.6 D-4D Business Plus 5pl. 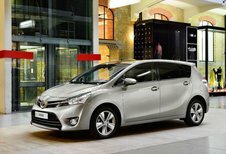 Toyota Verso 1.6 D-4D Comfort 5pl. Toyota Verso 1.6 Valvematic 50th Anniversary+ 5pl. 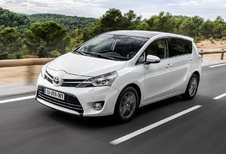 Toyota Verso 1.6 Valvematic 50th Anniversary+ 7pl. Toyota Verso 1.6 Valvematic Active 5pl. 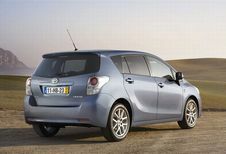 Toyota Verso 1.6 Valvematic Comfort 5pl. 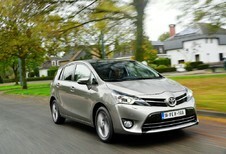 Toyota Verso 1.6 Valvematic Comfort 7pl. Toyota Verso 1.8 Valvematic 50th Anniversary+ 5pl. Toyota Verso 1.8 Valvematic 50th Anniversary+ 7pl.